The 2013 schedule for the Golfweek Amateur Golf Tour has been posted on-line and is available below. There may be some slight adjustments noted during the next week, but I wanted to get the schedule I had out to you as soon as possible. Once again, we've got a great line-up of premium courses scheduled and look forward to another year of fun competition with these top-draw venues. We'll kick the season off with our annual visit to The Legacy Golf Links in Aberdeen on February 2. This is a pre-season event to which I invite both the Golfweek and Senior Tours. Because of that mix, no points will be awarded, but the prize pool is generally one of the largest of the season. The seniors will enjoy the advantage of playing from one Tee-Box shorter than the "flatbellies". Historically this event sells out, so if you have interest in playing, I'm taking entries now for roster spots. Just email me or call me to let me know if you want to play. If you can't make that event, or if you want to wait a couple of weeks for "warmer" temperatures, a second pre-season event will be held at The Golf Club at Longleaf on February 16. This event also has a history of filling up, so one again, give me an early "heads-up" if you want to play at Longleaf. The regular season will start March 2 at The Challenge in Graham with a 9:00am shotgun start. Points, prizes, and your Tour "goodies" that you purchased with your membership will be distributed at that event. Early season events always produce a good field and this year should be no exception. As I have done for the last few years, I am extending an Early Sign-Up Discount to any member who would like to sign-up for the season prior to January 15. The normal membership dues are $90.00, if you pay by the date noted, I will offer a $10.00 discount, resulting in an $80.00 annual membership fee. I'm not "selling" here - there are substantial expenses incurred before the start of each season and I will provide this discount to anyone who wants to help me with these costs. No problem if you prefer to wait until your first event, at which time the membership cost will be the normal annual fee - your call. The Legacy Golf Link, a scenic course and a delight to all who play, is the host for the first tournament of the 2013 season. "We hear a lot of, 'I shot my best score here,' from golfers," said Legacy's head professional, "but it is not a walk-over by any means." Most of you played here last year and can come back for redemption. In designing The Legacy, Jack II worked with Jim Lipe, a long-time lead designer with Golden Bear Design whose credits include Williamsburg National. In the summer of 2000, Jack II became president of Golden Bear Design. There are NO houses anywhere in sight of the course. "Golfers like it because they feel they are out there in the woods with nothing but themselves and the golf course." The heavily wooded land parcel with several large lakes meandering through it afforded Nicklaus ample opportunities to sculpt holes with scenic vistas through the pines. The site, which includes four lakes and connecting streams, was once a farm where catfish were harvested. Water comes into play on no less than 12 holes including all four par 3s, none of which measures over 191 yards from the tips. Come gauge your competitive golf game and sign-up early for this tournament as both the GolfWeek and Senior Tour players from the 3 cities play and it is a perrenial sell out. World of Watches (WOW) is the premiere online watch retailer. Established in the early 90's, World of Watches quickly became a dominant player in its category, carrying the widest selection of styles from prominent designer brands such as Bulova, Citizen, Movado, Seiko, and Tag Heuer. 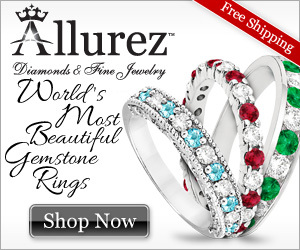 Allurez Jewelers is the premier online jewelry store for high quality fine jewelry, designer jewelry, engagement rings, wedding bands, and certified loose diamonds. Here is my situation. I have hit my ball about 18” into a lateral water hazard and have chosen to take relief under Rule 26-1, option “c”. I have determined where my ball last crossed the margin of the hazard and have put a tee in the ground exactly two driver lengths from that spot, but clearly no closer to the hole to mark the extent of my upcoming drop. When I drop the ball, each of the following could easily happen. Decide for each whether I should continue with the ball as it lies or re-drop under R26-1 and R20-2? 1. My ball rolls more than two club-lengths but not more than two club-lengths beyond or closer to the hole than the tee I have stuck in the ground. 2. My ball rolls about 1 club length towards the hazard and now to play the ball in my preferred direction I would be standing with both feet in the hazard. 3. My ball rolls less than two club-lengths away from the hole but to play the ball I would be standing with one foot on a drainage grate. 4. My ball rolls less than one club-length but came to rest nearer the hole than the tee I stuck in the ground but not nearer the hole than the spot on the margin where I estimated it last crossed. 1. I would be required to re-drop. A tee placed in the ground assists the player to know the area in which his ball must first strike a part of the course on his drop. That’s all it does. Using a tee it is not required, but is not a bad idea if you are trying to maximize your distance away from the hazard margin. What determines my need to re-drop is that my ball rolled more than the allowed two club-lengths after first striking a part of the course within the prescribed dropping area. 2. I must play the ball as it lies. Not my stance or area of swing, but the spot of the ball after it comes to rest determines a need to re-drop. Since the ball did not roll back into the hazard, it is in play. 3. The ball is in play and no re-drop under R20-2 is required. If I choose to take relief because I now have interference from the drainage grate, I must treat that as a separate relief procedure and use R24-2, Immovable Obstruction, as my guide. 4. I play the ball as it lies. My reference point for determining “nearer the hole” is always the point of reference on the margin of the hazard, my last crossed point. The tee was only used to indicate the maximum extent of my permissible drop area and the original question indicated it was clearly no closer to the hole. Some players may stick a single tee in the ground to indicate both the maximum extent of an area for drop and the forward most point for that drop that is no closer to the hole but not all situations make that the desirable use of the tee. At anytime, if I re-drop a ball when not required or fail to re-drop when required, there are serious consequences. In match play I lose the hole and in stroke play pick up an additional 2-stroke penalty.